Big lot on a quiet culdesac! Over 2700SF of living space that features multiple large spaces for entertaining or your solitude. 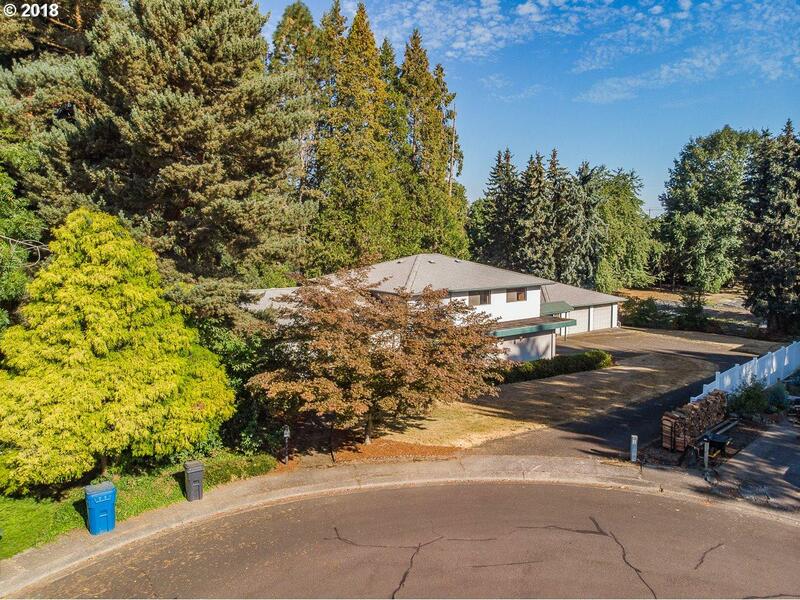 Private lot with trees and very close to a park and nature walk. Detached oversized double car garage with a covered breezeway to the house. Room for an RV and plenty of parking. FYI that the 4th bedroom does not have closet. This home has been taken care of and has had the same owner for over 40 years! Listing provided courtesy of Windermere Pacific West Prop..